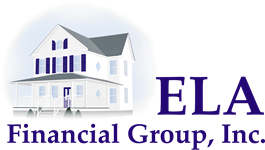 Here at Ela Financial we recognize the extraordinary qualities of each of our clients. Whether they are walking through life as one or have a family following in their footsteps, we customize their plan to their specific needs and goals. Since 1984 we have built client relationships, emphasizing the trust factor that we incorporate into every relationship we have. We welcome the challenge to create a customized financial plan to match the people who welcome us into their lives – we are humbled to be a part of such an impactful piece of your future.